In the late summer air, the sweaty, bopping parents-and-kids crowd twirled and pogoed to this nation’s definitive party song, joining in as John Mann belted out perhaps the most sung-along-to lyric in Canadian music: “You’ll have to excuse me, I’m not at my best.” During this recent concert at Vancouver’s Pacific National Exhibition, the line – from the seminal Spirit of the West tune Home for a Rest – was bursting with double-meaning. Soon Mr. Mann would reveal a closely guarded terrible truth. There were clues: his empty hands – no guitar; the onstage banter left for the most part to fellow frontman Geoffrey Kelly; the iPad affixed to Mr. Mann’s microphone stand. He can no longer trust himself to keep his guitar-playing at pace with the band, to tell those great stories from the stage, to even remember the lyrical poetry he himself wrote – words he has sung countless times criss-crossing Canada and the world. At 51, Mr. Mann has early onset Alzheimer’s disease. “I just want people to know now, because we’ve been holding this in as a band, waiting for the right time, and I was getting a bit antsy,” Mr. Mann says during a lengthy interview at his Vancouver home, conducted with his wife Jill Daum, who fills in many of the blanks. “I’m John’s brain,” she says. The devastating diagnosis came about a year ago. Long before that, there was evidence so compelling that Mr. Mann, still in his 40s, went to his family doctor with concerns he had dementia. But his intensifying problems were thought to have been caused by the colorectal cancer from which he had also been suffering, and the stress of it all. He is now in remission. But as the brain fog intensified, it became more and more clear that something was very wrong. Ms. Daum was noticing the decline, too. Mr. Mann, who was also a busy film, TV and stage actor, was struggling with his lines. Remembering entrances for Blood Brothers, at Vancouver’s Arts Club Theatre in late 2011, was a nightmare. “He had the therapist talking to him outside the rehearsal door, just trying to calm him down, because he was having so much trouble,” says Ms. Daum, who is also an actor and playwright best known for Mom’s the Word. It got to the point where Mr. Mann could barely get through an audition. Frustrated initially when trying to run lines with her husband, Ms. Daum grew gravely concerned. With the help of a friend, who is a geriatrician, a diagnosis was finally made. This was a shattering experience. Ms. Daum – who is a strong woman, full of positive energy and laughter – breaks down as she describes what happened. She was called in to the doctor’s office, told her husband had Alzheimer’s and asked when it would be best to tell him. She lived with that news for days before he was told, suffering in excruciating silence as she drove him to the appointment where she knew he was about to receive the crushing news. Telling the kids – Harlan, 23 and Hattie, 21 – “was the hardest thing,” Ms. Daum says quietly. And then they embraced a common coping mechanism – denial. Following his diagnosis, Mr. Mann was put on the drug Aricept and there was an immediate improvement. 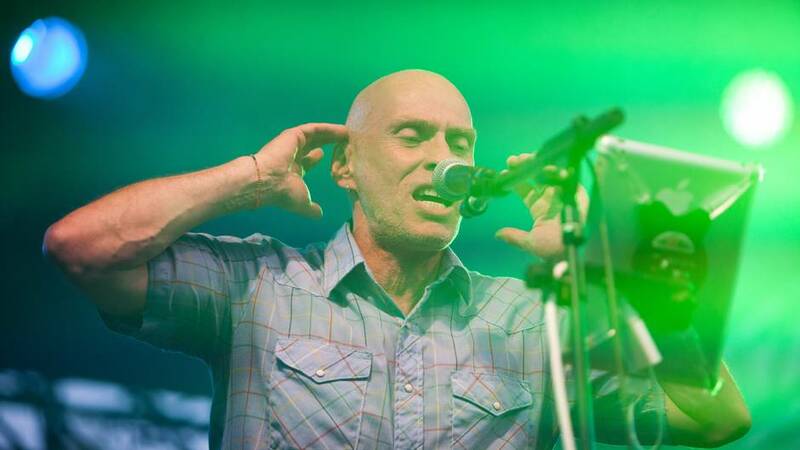 He can’t remember how old his children are (“but I know I love them”), setting the table is impossible and packing a suitcase is hell, but he released a CD earlier this year – The Waiting Room, about his cancer experience – and continues to play solo shows and with Spirit. The band, which he co-founded, remains a huge part of his life. Spirit put out its first album in 1984, an independent release. Based in Vancouver, they grew to become a favourite on the folk festival circuit with their kicky, Celtic-influenced brand of alt-rock/pop. They scored their biggest hit in 1990 with the major label release Save This House, which included the now legendary drinking tune Home for a Rest, which has been bringing down the house at frosh week, wedding receptions and New Year’s Eve parties ever since, not to mention Spirit of the West concerts. The band has worked out a way for Mr. Mann to continue to perform. Matthew Harder was brought in to play guitar. Lyrics are read from an iPad rigged up and pedal-operated by bandmate Tobin Frank. Mr. Kelly, who is very funny and charismatic, has taken over the stage patter – always mindful to give Mr. Mann, once a brilliant storyteller, opportunities to interact. But while Mr. Mann remains an electric presence on the stage – with that strong voice and trademark jerky energy dance –there has been a sense of unease for the band, especially if the stage environment is at all chaotic or unpredictable. At his solo shows, such as a recent trip to the Edmonton Folk Festival, Mr. Mann still plays guitar, but now works with an accompanist. “I would never go out on my own. I’d be lost,” he says. For Ms. Daum, watching him perform can be very stressful. Alzheimer’s is considered early-onset when people younger than 65 are stricken with the disease. About 2 to 10 per cent (the figure varies widely depending on the study) of people with dementia – of which Alzheimer’s is the most common form – fall into the early onset category, according to Alison Phinney. She is the co-director of the Centre for Research on Personhood in Dementia at the University of British Columbia. Dr. Phinney says that at the Clinic for Alzheimer’s Disease and Related Disorders at UBC, more people are being diagnosed at a younger age – but it’s unclear whether younger people are getting the disease or if people are more likely to seek a diagnosis earlier. Once you have that diagnosis, telling other people can be an excruciating part of the experience. Those suffering may be written off, dismissed – perhaps literally, from their job– and the isolation can take a dramatic step forward. “This is a disease that carries a great deal of stigma. It isn’t just really hard to manage for individuals and their families, but it carries such negative connotations … and that just puts added pressure on top of what is already really just objectively very difficult to handle,” says Dr. Phinney, also an associate professor at the UBC School of Nursing. In Mr. Mann’s case, there were worries that the diagnosis could have implications for his career and the band’s, so a decision was made initially to keep the information quiet – not secret: Those around them, including fellow performers, knew. But beyond that, the news has been kept under wraps. If you’re in the public eye, added to the stress of living with the disease can be the stress of hiding it. There you are onstage, or in a media interview, or talking to fans. The potential for exposure is so great. For Mr. Mann, Ms. Daum and the band, finally emerging from the Alzheimer’s closet is a relief. Getting the news out will not be the career-ender of their fears, they feel. Mr. Mann talks about Michael J. Fox, who has Parkinson’s disease, and his still thriving acting career. Country star Glen Campbell toured with Alzheimer’s, as seen in the new documentary Glen Campbell: I’ll Be Me. Mr. Mann has made a career of writing music about his personal life and experiences, so it has been weird not to be able to talk about this. And he wants to be able to continue to perform, which he finds energizing and validating. An Alzheimer’s diagnosis is made by exclusion by taking a careful history, blood tests, brain scans, and neuropsychological testing – testing for memory and cognitive function. Post-diagnosis, the neuropsychological testing continues in order to stage the disease and document changes in the patient, who may be asked to count backward, list the days of the week, recall elements of a story, draw a clock. The tests have been a sore point for Mr. Mann, who up and left during the last round. “It’s so cruel actually to send somebody in there that they have to monitor because really the only way to cope is to not pay attention to what’s disintegrating,” Ms. Daum says. Alzheimer’s is terminal, with no cure. And according to Dr. Phinney – who was speaking in generalities and not about Mr. Mann’s case specifically (she was not told who this article was about) – people with Alzheimer’s usually die within seven to 10 years after diagnosis. She adds that there is some evidence to suggest that for people who are younger, the prognosis is worse in that the decline can be faster in some cases. When I asked Ms. Daum about Mr. Mann’s prognosis, she said they haven’t asked. The play, she says, is still scheduled to open the Arts Club’s 2015-16 season. And taking a page from Mom’s the Word, Ms. Daum is working on a play inspired by this new experience. “Alzheimer’s the Word,” she jokes. Mr. Mann is a collaborator, offering his insights, and writing songs for it. 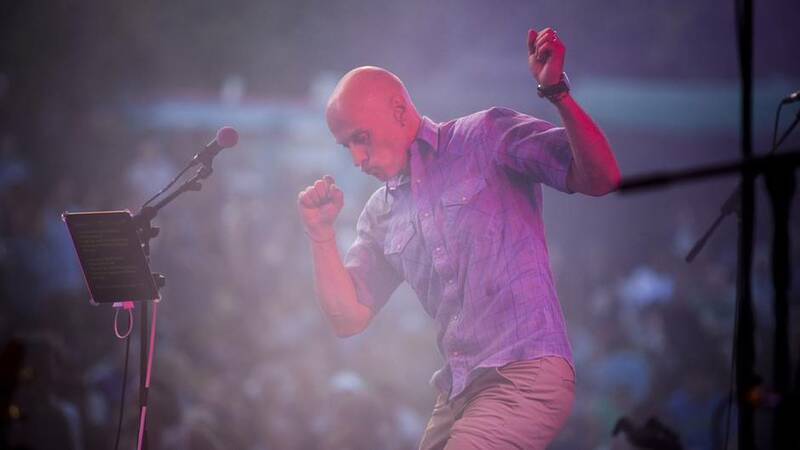 Mr. Mann has a busy schedule, with a couple of Spirit shows this month; later performing with Barney Bentall and Jim Byrnes; then touring his solo show. The logistics are tricky once he gets beyond the orbit of his daily Vancouver life, but the others look out for him. “I’d like to let people know that I’m still working, still enjoying it, and hope just to do more of it,” says Mr. Mann, who works out daily and is in excellent physical shape. Spirit of the West is planning to mount a retrospective tour – they won’t call it a farewell tour – in the fall of 2015. 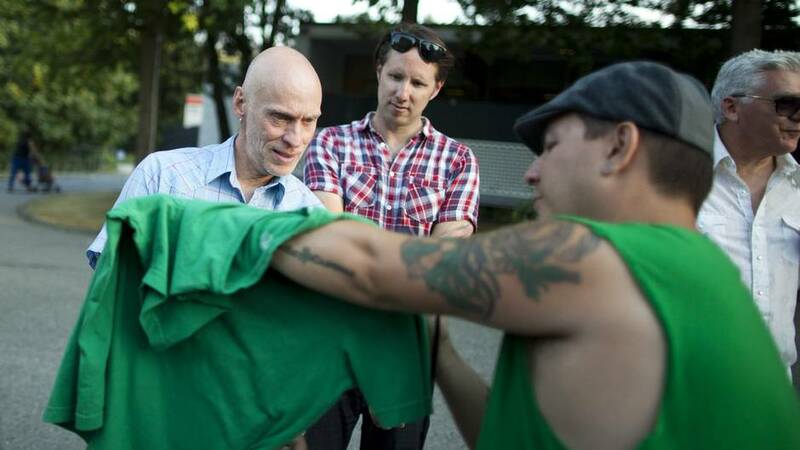 They are talking with Vancouver-based filmmaker Pete McCormack (Facing Ali) about filming the tour for a documentary. “I just want to do something that reveals what and who Spirit was [and] is; their melodic and creative greatness, their undeniable yet indescribable Canadianness, their non-poser nature, the talent ... and talk about the crazy fragility and beauty of this damn world, exemplified by John's heartbreaking situation,” explains Mr. McCormack. Thirty years after releasing their first album, Spirit is dealing with its share of health problems. Mr. Ditrich is in kidney failure and in need of a transplant. Mr. Kelly, who is also a member of the Irish Rovers, has been battling severe Crohn’s disease, requiring emergency surgery to have a piece of his colon removed.